The STC Price: Is Your Solar Installer Ripping You Off? 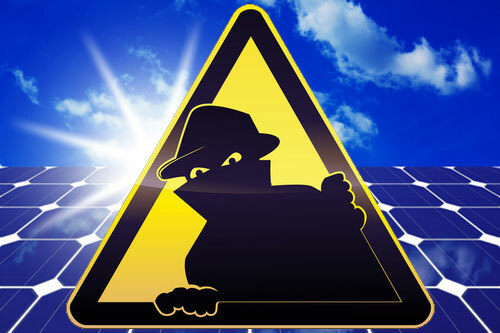 Home > Solar Installation > The STC Price: Is Your Solar Installer Ripping You Off? Ah, the joys of STC prices! Every so often I get an email from someone who is desperately worried that their solar installer is using the STC price to rip them off. When people read a clumsily worded clause like this it conjures up an image of the solar installer laying claim to your precious solar electricity for the next 15 years (and perhaps taking your first born too!) and they are naturally wary of signing any “rights” over to someone else. You are not granting the installer any rights to sell your electricity! That is a completely separate rebate called the “Feed In Tariff” and the installer can’t touch it. (Unless you have entered a very special kind of contract called a “Power Purchase Agreement” but that is another story). So why does the clause say that you have to assign the STC rights for 15 years? Well that is because the upfront rebate is calculated based on how much CO2 your system will offset over 15 years. The Common Allegation: The Solar Installer Quotes an STC price of, for example, $25. The canny customer looks up the STC spot price here and sees it is, for example, $28. The customer accuses the solar installer of not giving them a fair price for their STCs. The customer believes they could sell the STCs themselves and get an extra $5 per STC, saving $100’s from the price…couldn’t they? Not really… There are 2 STC prices in the market place. An advertised “spot price”, and the price that is allowed on your system. The spot price is always higher – by up to $3 at times. Upon completion of your job, you assign your (Renewable Energy Certificates) RECs to an Aggregator (a third party company) for say $25. It takes an Aggregator 4 weeks to convert your RECs into sellable “Registered Certificates” – often also referred to as STC’s. The Government (ORER) charges the Aggregator 50c / REC to convert them. Once converted to a certificate, the Aggregator then needs to combine 30-40 other jobs / Solar PV Installations to bundle into 5000 STCs – Now the Aggregator can sell your STCS/RECS on the open market at the current “spot price”. So the $3 extra they may sell for, includes government fees, admin costs, risk margin and hopefully some profit for the Aggregator. So if the STC price on your quote is a few dollars less than the current STC spot price, you are not getting ripped off! The installers are just covering the cost of selling the STCs through the STC Aggregator. Previous Article: The way forward for feed-in tariffs? “It takes an Aggregator 4 weeks to convert your RECs into sellable “Registered Certificates” – often also referred to as STC’s” This is true however at enviro certificate services they make the payment in 4 days once all the info have been received. If you can wait a couple of YEARS you will get $40/STC through the clearing house. That’s $2 000 extra (based on spot price of $25/STC) for a 5 kWp system with 134 STCs. What about an installer that sells the unit at a higher cost and does not take the stc. Is it beneficial to not agree to a rebate and then control the stc credits yourself to your own broker? I hope I have understood the information and my question makes sense? If you want to trade the STCs yourself – go for it! You are very brave – I always advise people to let the installer cash the STCs in, as the clearing house has a wait of approximately forever. I would go to your installer and ask them to trade them for you as the brokers generally have a very high “minimum trade”. Current STC price is $30. When does this rebate end? I hear its at the end of December? If so – I’d better move fast I suppose. Any systems installed after 31 Dec 2012 will get a lower rebate. i.e. you will pay about $1000 more on any system regardless of the size. I am still a bit confused! The purchase price you see advertised is that before or after the rebate? I would also like another opinion on how big a system would be needed not to use electricity? The system you suggest how much would I have to outlay? In almost every case the purchase price is the price after the rebate. I all ready have 5 KW system and get feed in tariff in the 66 cent scheme under the old rebate system. We made the mistake of asking to keep the STC’s for our solar installation. When we made inquiries later on we were told that we weren’t entitled to them as more than a year had passed since the installation. I figure we are still offsetting CO2, but this is apparently not how things work! Are we the only one’s to get bitten by this? Manysolar companies including us, add up the entire cost of the solar (labour, cable, isolators, conduit, petrol, panels, inverters, STC registration, etc etc). Let’s say it comes to $8,000. Then we deduct the STCs at what we guess their value will be in two months time when we get to try and sell them (let’s say 103 STCs for a 5kW system at $37) = $3811. Then we factor in our GST loss on the STCs (GST can not be re-claimed from private individuals and the process of providing an up-front discount is essentially a purchase of STCs as far as the tax office is concerned). So if our total costs inc GST loss is $8400 and we get back $3811 from STC sales then our actual cost is $4589. Then we put on a profit margin..let’s say 25% and we get a sell price of $5736…which is pretty much what a typical basic 5kW system is going for these days. From that $1150 profit we have to pay rent, wages, and all the other costs of running a business AND provide on site warranty FOREVER. 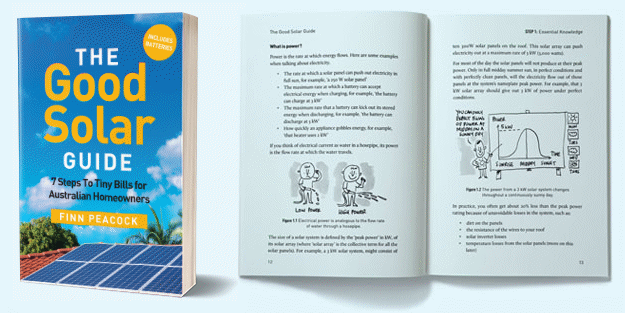 The Solar business is definitely not for the faint hearted because if we guessed the STC price incorrectly by just 5 dollars then we just halved our profit. With all the risks involved in solar compared to regular businesses you might as well be running an airline. Lots of customers, lots of sales, bugger all profits. All the systems offered are only generators when there is daylight or sunlight. A COMPLETE SYSTEM will supply power to the household 24/7 but needs a wind generator PLUS Deep cycle batteries. The industry should be ashamed of themselves fo not making this clear in their advertising. Agreed, yes that does need to be made absolutely clear to the customers. The good installers will size the system to the person’s daytime use and give them payback based on realistic self consumption numbers. Some of the biggest installers in the land certainly do not though. They even advertise savings figures based on 100% self consumption, which is just criminal. I am currently starting a building process – I see the government is possibly changing the whole rebate scheme. Can I pay upfront to get into the old/current scheme and then install in 12 months time when the building is complete?? Your safest bet is to sign a contract now, with a friendly solar installer that will let you back out without penalty if the government change the rebate in a way that does not honour existing contracts to install solar. A good installer will be transparent and advise you how much your STCs are reducing the price by. But remember – there is a real cost involved in trading STCs so they will take a small margin on the STCs to cover their Admin and trading costs. This is typically $3-4 per STC. Yeah, and in Western Australia those who signed on at the start was offered a 40 cents ( RE: buy back to grid price ) is now almost getting NOTHING NOW ! And horizon power is now CHARGING A MANAGEMENT FEE OF 15,000 dollars a year,for any NEW connections.. Very smart & wise buy,eh ? Now once again, I will highlight some fun & games now being had in the remoter climes of this land ! So a quote i just received lists the STC at $10 per STC. Given the spot price is $40 at the moment i think i am being taken for a ride…… or am i missing something? Something is not right there! You should be getting about $37 once the installer has covered his costs of trading the STCs. Yeah figured there was something odd going on there. Overall the quote isn’t too bad for what it is i thought ( roughly 5K for a 5KW system after the STC rebate is applied (only $900 worth!!)) so i suspect it’s a little bit of robbing peter to pay paul type thing going on. Is it possible to sell your own STC’s online or via a 3rd party for average consumers? Sounds like i’d get a much fairer price that way. Hi Tony, Ronald here. Yes, you can keep your STCs and sell them yourself. Normally there’s no point, but obviously it’s far better than only getting $10 each for them. Mind you, I think I’d rather have nothing at all to do with someone offering only $10. People are rarely only dodgy in just one area. I get the impression that it’s some weird GST dodging attempt from the vendor as overall the price is pretty comparable to other system of similar size. No idea how that works in their favour??? If the Correct STC price was applied to the quote it would be one hell of a Bargain system and I’m pretty sure if i told them i would keep the STC’s then things would drastically change for the rest of the system price. I don’t really want to “out” them in the open like this ( as they were one of the vendors recommended here) but if yourself or Finn would like to discuss it in order to possibly investigate what can at best be described as unusual behavior i’m happy to do that. If it all adds up to a decent price then I don’t see how it is of benefit. Since Finn vetted them I’m not worried, but I am curious. I’ll mention this to Finn and he may look into it. Just mentioned it to Finn and he said it is most likely just a typo or administrative error and I agree. I have sent you a brief email asking you to forward their quote to us and we will check with them. It IS absolutely a GST thing which in fact is very likely to be doing YOU a big favour on the end price you pay but the solar company is playing a risky (let’s hope they don’t audit us) game with the tax office. If they can save themselves $400 in GST liabilities then they can take that off your price without affecting profitability, and making them much more attractive than competitors who aren’t taking such a big, and possibly company ending risk. It all comes down to the fact that when they give you an upfront discount on the STCS, they are BUYING them from you. You, Joe Public, are not GST registered, so they have to buy them without paying an extra 10% in GST. Therefore the lower the value of the STCs they bought from you on their books, the better. Valuing STCs on their books at only $10 is almost certainly going to be seen by the tax office as a deliberate move to avoid paying GST. We had a quote for Solar which included the STC rebate and we signed a contract assigning the STC to the installer and we paid a deposit. They have now come back and said that due to the value of the STC we now owe a further amount due to the decrease in value of the STC. What is out position here? I believe that once we have agreed to a price then that is the price. I am not a lawyer and a consumer organization in your state should be able to give you more accurate advice than I can, but I suggest you look carefully at your contract to see if it says the installer is permitted to change their quote due to a change in STC prices. It probably does, as these clauses are fairly common. But unless they made this condition very clear to you when you signed the document, then I think a reasonable person would conclude the originally quoted price was all you were required to pay, and so you should be under no obligation to go ahead with the installation at the increased price. In my untrained opinion, while you will not have have to go ahead with the installation, If they are not willing to install at the originally quoted price, it would be extremely difficult to make them do so. We are going through a battle with the Installer and are now going to fair trading to get a refund on our panels and return the panels to the installer. How do I work out what our REC/STC’s where to claim the full amount of certificates back. I am assuming we will have to claim the out of pocket and the certificates as we wont be able to claim the rebate again if we go through another installer? They didn’t include the figures of rebate on the contract at the time, i have no idea what to claim. The STC price and the total amount they reduced the cost of the system by should be on the quote you were given. So if you are in zone 3, as most people are, then a solar system installed this year should have received a total of 19.348 STCs per kilowatt of solar panel capacity. So a 5 kilowatt system would receive 96.74 STC. Before May STC prices were at or close to $40 each while now they are around $30. However, the amount you may have received for them is likely to have been a few dollar less than that. my solar vendor wants me to sell him my STCs on completion of install for $1 each to cover his admin costs. The vendor says my options are to sell to him or retain and dispose of myself. Hello Ron. Currently STCs are worth about $36 and a 4 kilowatt system installed in 2018 in or around Brisbane, Sydney, Canberra, Adelaide, or Perth will create 71.864 STCs. At $36 each that will come to a total of $2,587. Normally the cost of your solar system would be reduced by close to that much. Usually it’s a little less due to administration costs. If your installer is reducing the cost of your solar system by around $2,500 and is only charging you one dollar per STC in administration fees, then that’s a good deal. But if instead they are only reducing the price by $1 per STC for a total reduction of $71.86, then that really makes no sense and I would definitely double check to see if that is what’s happening. If you do need a renewable energy certificate trader you can find one online and they will give you the market price for STCs minus their administration charge. The provider wants to charge me $1 per STC for him to take them, if not they are mine. I assume I can trade them if I can find a trader and have the right paperwork. How do I find out what I need, is there a checklist anywhere? If your installer is only giving you $1 per STC and not using them to decrease the cost of your solar system then that would be very unusual and it would make no sense to sell them for that much. So if you are sure they are not being used to decrease the cost of your system they are worth roughly $36 each if you sell them yourself. If you go online you can find a trader and their site should have a FAQ or other information that should make it clear what you need to do. Many thanks for your help and information, much appreciated. i had solar put on in 2011 so my government rebate is good, but just before Christmas my solar invertor broke down which has to be replaced. My solar was put in by Origin but I am going through my insurance to have the new invertor replaced will this change the price I am receiving from the government? My installe has asked me to sign paperwork to assign the stc’s to emerging energy solutions group (an stc trader) instead of the installer themselves. Is this normal, or do people usually assign to the installer who then assign/ trade with the third party stc trader. It also has a clause in that I would need to repay the stc if the assignment was invalid. I did my homework t make sure the product qualifies for the stc and the installer is cec accredited. So, who do people normally assign to and does it always have this clause? It is not unusual for installers to ask people to sign over STCs to a third party. My point of view is the installer is the one selling you the system so they should be the one taking on the STCs so the customer only has to concern themselves with them. One of the complications that occurs when this isn’t done is the clause you have mentioned. I am definitely not a lawyer but I assume that clause is there in case an installer tries to claim STCs they are not entitled to either somehow accidentally or fraudulently. This is a rare occurrence but still not something I think households should need to concern themselves with. If you are satisfied the installer is honest and reputable then you probably have nothing to worry about. But while it’s not unusual I still think the situation is not ideal. (2) i have just had my second system replaced and have signed the stc form.